St. Bonifatius in Wiesbaden, Germany, is the central Catholic parish and church in the capital of Hesse. The present building was designed by architect Philipp Hoffmann in Gothic Revival style and built from 1844 to 1849. Its twin steeples of 68 m (223 ft.) dominate the Luisenplatz. The parish is part of the Diocese of Limburg. Wiesbaden is a city in central western Germany and the capital of the federal state of Hesse. As of January 2018, it had 289,544 inhabitants, plus approximately 19,000 United States citizens. The Wiesbaden urban area is home to approx. 560,000 people. On 24 May 1843, the young Philipp Hoffmann received the commission to build a church. He had already participated in building the town castle. His design is reminiscent of Gothic architecture, but also includes elements of Romanesque architecture and naturalistic ornaments to be found later in the Jugendstil. The foundation was laid on the day of the patron saint St. Bonifatius, on 5 June 1845. The interior was consecrated by the Bishop of Limburg Peter Josef Blum on 19 June 1849. A rib vault is supported by 22 columns. The facade was completed in 1856, and the towers in 1866. Philipp Hoffmann was a German architect and builder, principally known for his work in the Nassau capital in Wiesbaden. Saint Teresa of Ávila, actually, Teresa Sánchez de Cepeda y Ahumada, also called Saint Teresa of Jesus, was a Spanish noblewoman with Jewish roots, who chose a monastic life in the Roman Catholic church. 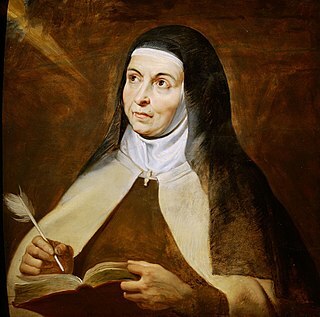 A Carmelite nun, prominent Spanish mystic, Religious reformer, author, theologian of the contemplative life and mental prayer, over four centuries later she earned the rare distinction of being declared a Doctor of the Church. Active during the Counter-Reformation, she reformed the Carmelite Orders of both women and men religious. The movement she initiated, was later joined by the younger Spanish Carmelite friar and mystic, Saint John of the Cross. It led eventually to the establishment of the Discalced Carmelites, A formal Papal decree adopting the split was issued in 1580. Hugo Mayer Orgelbau is a German organ builder in Heusweiler, Saarland, building pipe organs in the third generation. It was founded in 1952 by Hugo Mayer (1912–1980) in Brebach and moved to Heusweiler in 1957. His son Gerd Mayer took over in 1974. His son Stephan has been leader of new instruments (Neubauabteilung) from 1996. Gabriel Dessauer is a German cantor, concert organist and academic. He has been responsible for the church music at St. Bonifatius, Wiesbaden from 1981, conducting the Chor von St. Bonifatius until 2018. He is an internationally known organ recitalist and was an organ teacher on the faculty of the Hochschule für Musik Mainz. In 1985, he founded the German-English project choir Reger-Chor. He has lectured at international conferences, especially about the music of Max Reger, who was a member of the parish St. Bonifatius. The Chor von St. Bonifatius is a German mixed choir, the church choir of the parish St. Bonifatius, Wiesbaden. It was founded in 1862 as a male choir and was a mixed choir from 1887. From 1981 to 2018, it was conducted by Gabriel Dessauer, who founded two children's choirs. The group sang the first performance in Germany of John Rutter's Mass of the Children and performed in Azkoitia, San Sebastián, Görlitz, Bruges, Macon and Rome. Colin Mawby composed for the choir the Missa solemnis Bonifatius-Messe for the 150th anniversary, celebrated on 3 October 2012. From 2019, the choir has been conducted by Roman Twardy. Colin Mawby KSG is an English organist, choral conductor and composer. From 1961 he was Master of Music at Westminster Cathedral, then from 1981 he was the choral director at Radio Telefís Éireann. He was awarded Knighthood of the Order of St. Gregory in 2006. The Lutherkirche is one of four main Protestant churches in Wiesbaden, the capital of Hesse, Germany. It was built between 1908 and 1910 in Jugendstil and in accordance with the Wiesbadener Programm, to a design by Friedrich Pützer. With two organs and good acoustics, it is also a concert venue. Ignace Michiels is a Belgian organist, choral conductor and organ teacher. He is internationally known as a concert organist. The Reger-Chor is a German-Belgian choir. It was founded in Wiesbaden in 1985 and has been conducted by Gabriel Dessauer in Wiesbaden. Since 2001 it has grown to Regerchor-International in a collaboration with the organist Ignace Michiels of the St. Salvator's Cathedral of Bruges. The choir performs an annual concert both in Germany and Belgium of mostly sacred choral music for choir and organ. Concerts have taken place regularly in St. Bonifatius, Wiesbaden, and in the cathedral of Bruges in its series "Kathedraalconcerten". The choir performed additional concerts at other churches of the two countries and in the Concertgebouw of Bruges. St. Martin is the name of a Catholic parish and church in Idstein, Rheingau-Taunus-Kreis, Germany. The official name of the church is Katholische Pfarrkirche St. Martin. The name of the parish became St. Martin Idsteiner Land on 1 January 2017, when it was merged with five other parishes. The parish is part of the Diocese of Limburg. Max Beckschäfer is a German organist, composer and academic. The Unionskirche is the active Protestant parish church of Idstein, a major town in the German Rheingau-Taunus District. Idstein was a residence of the Counts of Nassau. The church building in the center of the historic "Altstadt" dates back to the 14th century when it was built as a collegiate church. It became Lutheran during the Reformation. Its interior was adapted in the 17th century to become a Lutheran "Predigt- und Hofkirche". 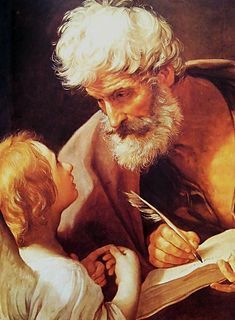 The most prominent decoration in the church is the series of 38 paintings by the Flemish painter Michael Angelo Immenraedt, an exponent of Flemish Baroque painting, and others. They follow a program of biblical scenes. Rheingauer Dom is the colloquial name for the Catholic parish church in Geisenheim, Germany. Officially Pfarrkirche Heilig Kreuz, the large church in the Rheingau region is called Dom although it was never a bishop's seat. The present building was begun in the 16th century, but major features such as an expansion of the nave from three to five vaults, the towers, the organ and several altars were added in the 19th century. The parish is part of the Diocese of Limburg. Marktkirche is the main Protestant church in Wiesbaden, the state capital of Hesse, Germany. The neo-Gothic church on the central Schlossplatz was designed by Carl Boos and built between 1853 and 1862. At the time it was the largest brick building of the Duchy of Nassau. It is also called Nassauer Landesdom. Martin Lutz is a German musicologist, conductor and harpsichordist. He has been the musical director of the concert choir Schiersteiner Kantorei in Wiesbaden since 1972 and founded the festival Wiesbadener Bachwochen. Ringkirche is a Protestant church in Wiesbaden, the state capital of Hesse, Germany. The romanesque revival church lies at Ringstraße between the central districts of Westend and Rheingauviertel and was built between 1892 and 1894, designed by Johannes Otzen. Petra Morath-Pusinelli is a German organist. Günther Nierle was a German conductor and organist. He was organist at the Breslau Cathedral from 1935. From 1952 until his death in 1962 he was cantor at St. Bonifatius, Wiesbaden. He conducted the choir Chor von St. Bonifatius in, among others, Hans Leo Hassler's Missa "Dixit Maria", Handel's Dettingen Te Deum and Mozart's Krönungsmesse. St. Jakobus is a Catholic church and a former parish in Rüdesheim am Rhein, Hesse, Germany. It dates back to the 10th century, was expanded around 1400, and again in 1913/14. The church was severely damaged by bombing in World War II, and rebuilt from 1947 to 1956. It is a listed historic monument and serves also as a concert venue. Johannes Hill is a German baritone in concert and in oratorios, who has performed internationally. Singing in choirs from age 10, he has performed major roles in oratorios, such as both Jesus and Pilate in Bach's Passions, and Pope Francis in the premiere of Laudato si'. He has also performed in vocal ensembles such as Kammerchor Stuttgart and Collegium Vocale Gent. The Wiesbadener Knabenchor is a mixed boys' choir founded in 1960 in Wiesbaden, the capital of Hesse, Germany. First a parish choir at the Ringkirche, it developed into a concert choir which has appeared internationally in countries such as Bulgaria, Malaysia and Australia, and has made recordings. Roman Twardy is a German teacher, academic lecturer and the conductor of the Wiesbadener Knabenchor boys' choir in Wiesbaden, Hesse, Germany. The choir appears internationally and has made recordings. 1 2 3 4 Detlef Gottwald (2008). "Kirche St. Bonifatius" (in German). Wiesbaden. Archived from the original on 4 September 2011. Retrieved 10 December 2010. ↑ "Historicism / Bonifatiuskirche". Wiesbaden. 2010. Retrieved 10 December 2010. ↑ Kösterke, Doris (9 November 2015). "150 Chorsänger erarbeiten an einem Tag Aufführung zweier Kompositionen von Gabriel Fauré". Wiesbadener Kurier (in German). Retrieved 9 November 2015. Wikimedia Commons has media related to Bonifatiuskirche (Wiesbaden) .